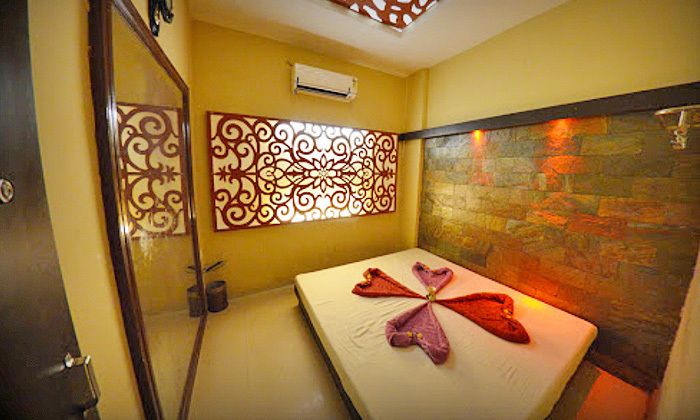 Relax and unwind in style at Palms Spa & Hamam, a chain of spa centre located across Ahmedabad. Named after the palm tree, the symbol of natural way to health, Palms Spa & Hamam imbibe within them the Thai and Ayurvedic healing techniques to help you banish away those aches and pains. The team here has taken care of every detail, the music, the lighting and the décor has been carefully chosen in order to give you a complete relaxed and refreshed experience. The therapies, the massages, the baths, the body polishes have been idealistically designed to suit your needs. And the therapists here are well-trained professionals who combine traditional techniques with hints of modernity to bring out the best results.